Many of the planet’s forests are undeniably picturesque – serving as a breeding ground for sprawling mountainous regions of pine and rock, immaculate snow-covered vistas, and a bevy of unique wildlife. 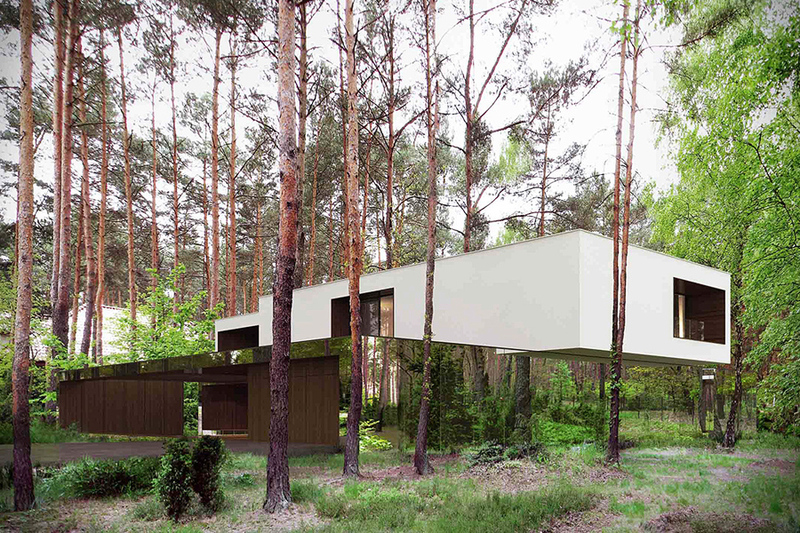 A subtle mixture of these inspiring characteristics have been carefully conceptualized, integrated, and reproduced within Poland-based REFORM Architekt‘s latest project, the Izabelin House. Izabelin House is an oddity amidst its forested backdrop, blending a number of unique design choices to help the home stand out (or stand-in) from the surrounding area. 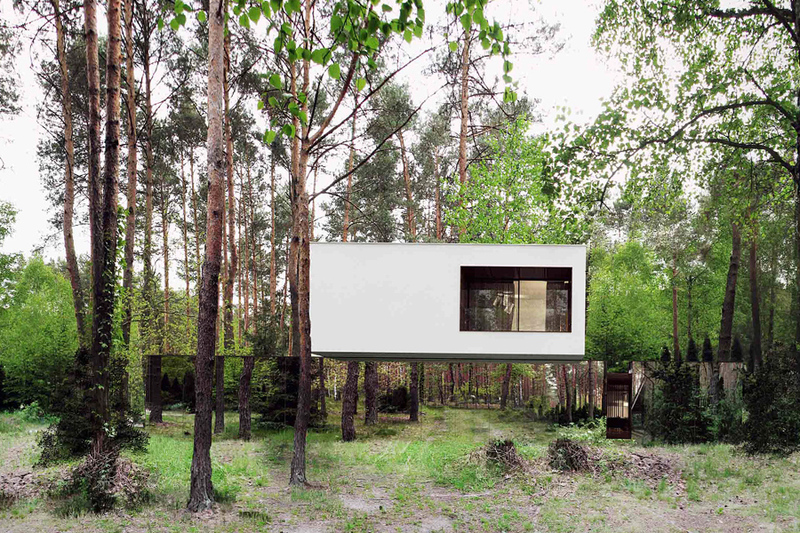 The two-story dwelling pairs horizontally oriented blocks with a mirrored, reflective paneling that appears to be an extension of the forest itself. 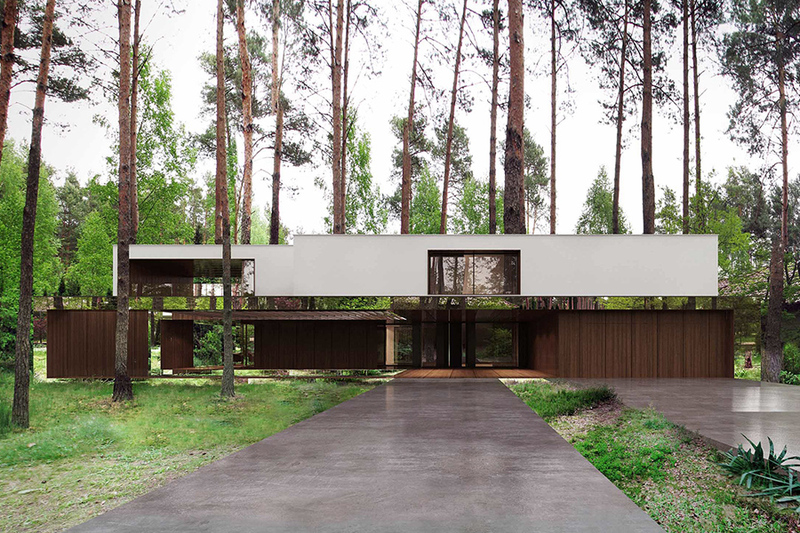 Dark wood terraces share a color palette with the surrounding earth, providing an adequate foundation for the “floating” second story. 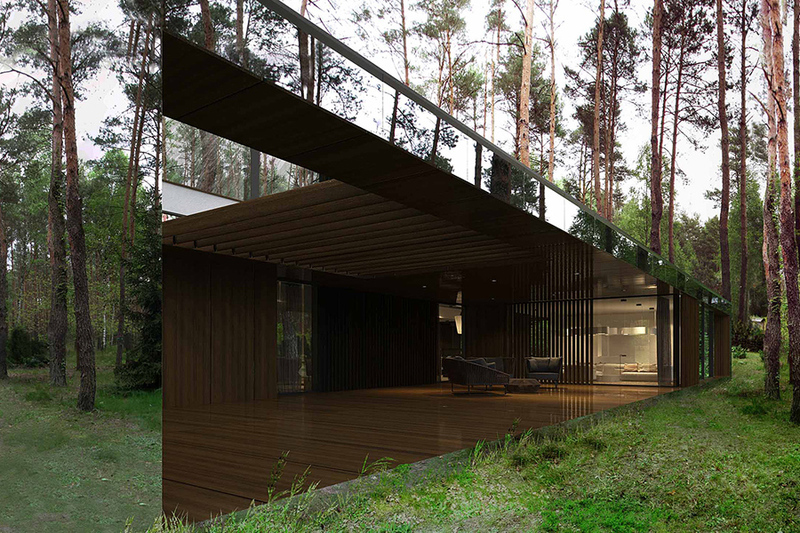 The home’s sharp exterior lines and revealing glass surface reflect the forest’s lush greenery, providing denizens with a feeling of true, unadulterated immersion. 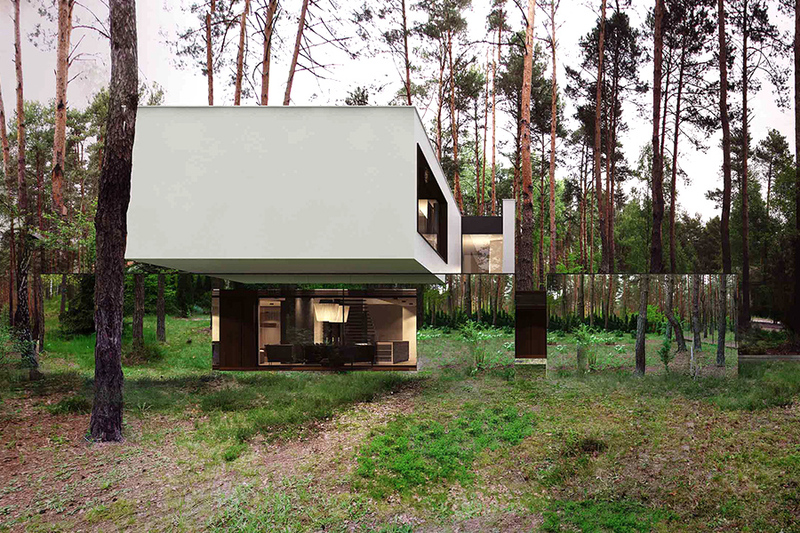 If you liked this optical illusion house we would recommend you to check amazing optical illusion floor.